Qualitas Funds seeks to invest and co-invest with the best private equity funds in Europe within the Mid-Market segment, offering investors a privileged access, attractive returns and hedge in case of unfavorable scenarios. European mid-market focus. Investments in private equity funds between €50 and 500 million. Target of 10 to 12 funds, each fund with an average portfolio of 10-12 companies, which amounts to a total of 100 to 150 underlying companies for each Fund of funds. Investment average of 2,5 to 7 million euros in each underlying fund, with a maximum of 10 million euros per underlying fund. Ability to perform secondary deals. Ability to co-invest in individual companies. Coverage of the main European economies. Presence in 13 different countries: Germany, Austria, Switzerland, Sweden, Norway, Denmark, Finland, the Netherlands, Belgium, Luxembourg, France, Italy and England. No overlap as an investor (LP) in Spanish funds where Qualitas has direct activity as a private equity Manager (GP). Exposure to all main currencies of the European Union with a majority within the Euro zone. Investor access; provide investors from Spain and abroad access to the “Best-in- Class” mid-market European funds, hence offering geographic diversification. Long term support to European GPs, thanks to the robustness of the Qualitas investor base; Insurance companies and social security institutions providing most of the funds. Successful experience of Qualitas team in direct investments within private equity, growth and energy. Small size fund, with easy-to-fit investment tickets. Successful investment experience in the Mid-Market segment. Identification of the “Best in Class” Mid-Market funds in Europe, usually less known than the larger funds. Privileged access to these funds with a fund that gives differential value to European private equity managers. Privileged access to an attractive dealflow of co-investment opportunities with the best European private equity managers. In 2003, Eric Halverson founded Qualitas Equity Partners with Iñigo Olaguibel and since 2015 has developed Qualitas Funds activity. 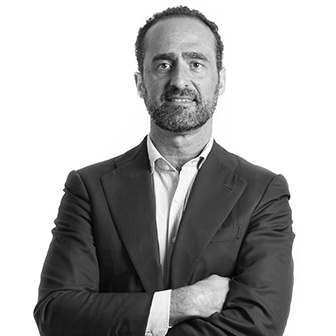 Sergio García joined Qualitas Equity Partners in 2006 and since 2015 has developed the division of Qualitas Funds. Lucía Carrasco joined Qualitas Equity Partners in 2016. 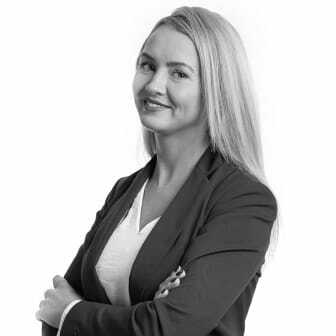 Currently, she is responsible for the Investors Relations, Fund Administration and Compliance. Iñigo Olaguibel is a founding Partner of Qualitas Equity Partners and has deep experience in the financial sector and private equity. Pedro Michelena has been a Partner of Qualitas Equity Partners since 2007 and has over 20 years’ experience in banking and structured finance. Borja Oyarzábal is Co-founder and CEO of Q-Capital. Mr. Oyarzabal is Partner at Qualitas Equity Parners where he has worked for 10 years, participating in multiple transactions within the investment portfolio, becoming Board Member in many of them. Prior to Qualitas, he worked as a Strategic Consultant at Bain & Company, advising corporations and venture capital funds on restructuring and M&A projects. Before that, Mr. Oyarzabal worked in the Financial and Business Advisory area of PwC, as well as at United Technologies in the company's manufacturing plant in the USA. 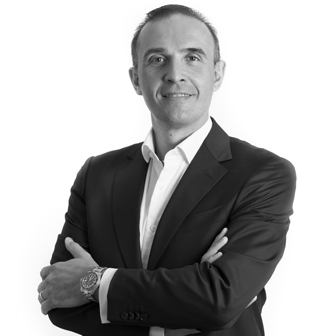 Vicente Asuero joined Qualitas Equity at the beginning of 2007. Since 2014 he has worked as Financial Director in Vela Energy, and later on also in Q-Energy. Currently, he collaborates as external Financial Advisor for Qualitas Funds, supervising and controlling the accounting and financial practices of the group. 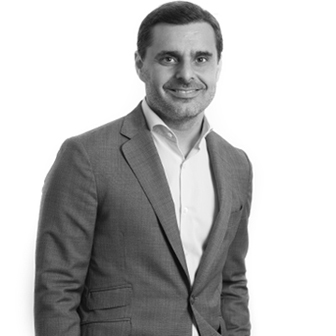 Vicente holds an Executive MBA in “Instituto de Empresa” and he is Bachelor in Law and Business Sciences (Icade-E3) by the "Comillas University"
Lucía Carrasco joined Qualitas Equity Partners in 2016. Currently, she is responsible for the Investors Relations, Fund Administration and Complianc. Before joining Qualitas Equity Partners, Ms. Carrasco worked as Sales Trader at Main First Bank and Middle Office Manager at N+1. 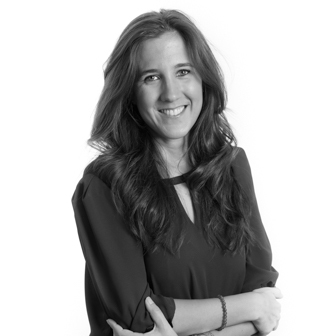 Lucía has over 10 years of experience in back office processes, investment analysis and compliance. Lucía holds a Degree in Business Administration from the Universidad del País Vasco, a Masters in Portfolio Management from Instituto BME and she has several courses in finance from Wharton University of Pennsylvania and Columbia. 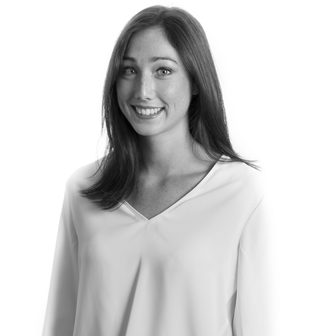 Emma Hernanz joined Qualitas Funds in 2017. She holds a Degree in International Commerce from Universidad de León and Institut Supérieur du Commerce (ISC Paris). Before joining Qualitas, Ms. Hernanz worked in Garnica Playwood in sales and in Q-Capital assisting the investment team. 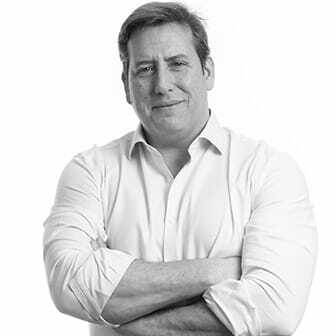 Javier joined Qualitas Equity Partners in 2019 as COO of the group. Before joining Qualitas Funds, Javier founded PlanetUs, a multi-awarded tech startup that he managed for 3 years. Previously he worked for +10 years in Altamar Private Equity where he developed a multidimensional expertise as Head of Portfolio Management, Investor Relations Director and Executive Director within the Operations & Technology team. Earlier, he gained certain international experience based on various key & strategic positions in premier global organizations such as Citibank, N.A. in Ireland and Merrill Lynch in UK. Javier is a Certified European Financial Analyst (CEFA) and holds a degree in Economics from Universidad Complutense de Madrid. He also earned relevant international certifications as Specialist in Mutual Funds from the Institute of Bankers in Dublin or the Investment Management Certificate approved in UK, by the FSA. Raluca is Assistant of Qualitas Funds, giving support to the two partners and to the investment team. Before joining Qualitas, she worked in Madrid and Bucharest as assistant manager for real estate, ticketing and international trade companies. Raluca holds a degree in French and Romanian philology from the University of Bucharest. She studied an Assistant Manager course at IES Clara del Rey in Madrid. 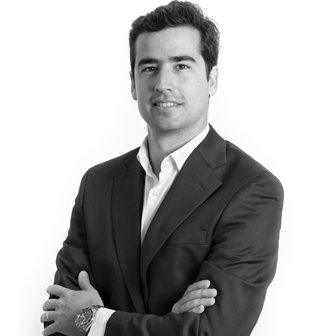 Álvaro González joined Qualitas Equity Partners in 2017. He is currently responsible, along with the partners, for the analysis, valuation, fund selection process and co-investments. Before joining Qualitas Funds, Mr. González worked for 9 years in Mergers and Acquisitions in several international houses in London, Zurich and Madrid, such as Morgan Stanley, Banco Santander and Deloitte. Álvaro has participated in more than 40 transactions, including the acquisition of Unión Fenosa by Gas Natural for a value of more than EUR16bn, as well as in the Joint Venture between Dow Chemical and Saudi Aramco, valued at $20bn. Álvaro holds a double degree in Business Administration and Law from Universidad Pontificia de Comillas (ICADE-E3), in Madrid, with an exchange program in finance at the University of Marquette in the United States. In 2003, Eric Halverson founded Qualitas Equity Partners with Iñigo Olaguibel and since 2015 has developed Qualitas Funds activity. Mr. Halverson led the investments of Azuvi, Befesa, Forte and Grupo Garnica and served as member of the Board of Directors in all of them. Mr. Halverson is also highly involved in the relationships with international investors. Before founding Qualitas Equity Partners, Mr. Halverson worked at UBS Capital as Investment Director, where he led investments worth over €450 million in value, and at the Corporate Finance department of UBS Warburg, advising companies on mergers and acquisitions and capital raising. 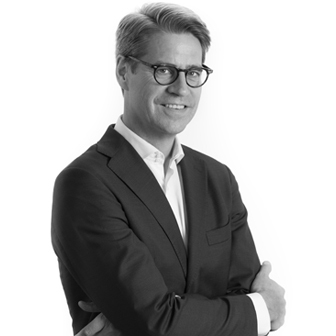 Mr. Halverson began his career at McKinsey & Co. as an associate, providing management consulting services to large companies in Spain and Scandinavia. Eric Halverson holds a degree in Economics from Cornell University, and Masters’ Degrees from Cambridge University and from Harvard University. 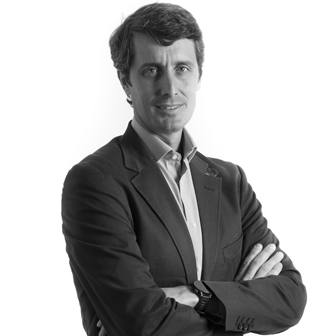 Iñigo Olaguibel is a founding Partner of Qualitas Equity Partners and has deep experience in the financial sector and private equity. Mr. Olaguibel has been involved in all aspects of QEPs development since its incorporation. Since 2006, he has been responsible for leading the development of the Energy practice. Previously, Mr. Olaguibel worked for Santander Central Hispano in the Corporate Finance, Structured Finance and Industrial Portfolio departments. He participated in various M&A transactions, IPOs, financial restructuring of companies and managing the bank’s direct investments in various portfolio companies. Mr. Olaguibel began his career in Mercapital, a private equity manager in Spain. Iñigo Olaguibel holds a dual Bachelor’s Degree in Business Administration and Law (ICADE E-3) from the Universidad Pontificia Comillas. Pedro Michelena has been a Partner of Qualitas Equity Partners since 2007 and has over 20 years’ experience in banking and structured finance. Mr. Michelena participated in the development of the Energy practice since its origins. He also occupies several relevant positions among the Spanish business community, such as the Chair of the PPP Forum. Before joining QEP, Mr. Michelena was Head of the Structured Finance department at BBVA, where he also had different responsibilities in the departments of Corporate Finance, Treasury and Risk Management. Pedro Michelena holds a BA in Economics from UPV in Bilbao, and an MBA from Syracuse University (Fullbright Scholarship). Sergio García joined Qualitas Equity Partners in 2006 and since 2015 has developed the division of Qualitas Funds. 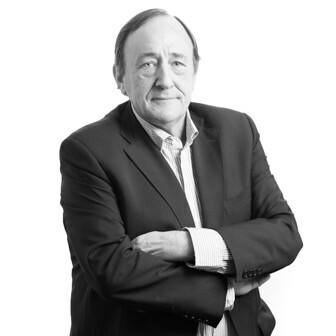 He has over 20 years of experience in management consultancy, corporate finance, and mergers and acquisitions, both in Europe and Latin America. Mr. García was actively involved in the acquisition of Grupo Garnica and Befesa, and served as member of the Board of Directors in both companies, as well as in Bellsolà. Before joining Qualitas Equity Partners, Mr. García served as Head of Corporate Planning at Grupo Uralita from 2002-2006, where he participated in the restructuring of the group. At Uralita, he worked in the development of different strategic plans and M&A transactions for a total consideration over €350 million. Prior to that, Mr. García worked for six years in management consultancy at McKinsey & Co as member of the Corporate Finance and Strategy practice. He also worked as Summer Associate in Goldman Sachs in London and started his professional career in Arthur Andersen.